MENTOR’s stainless steel handles are the ideal solution for product designs that require elegance and strength. The standard range offers handles made of round or flat oval stainless steel, folding / collapsible handles and an easy to assemble modular handle system. Many of MENTOR’s standard stainless steel handles are deliverable from stock with short delivery times and small minimum order quantities. The handles can be finished in matt, polished or uncoated stainless steel with several similar designs made in robust chrome-plated steel. 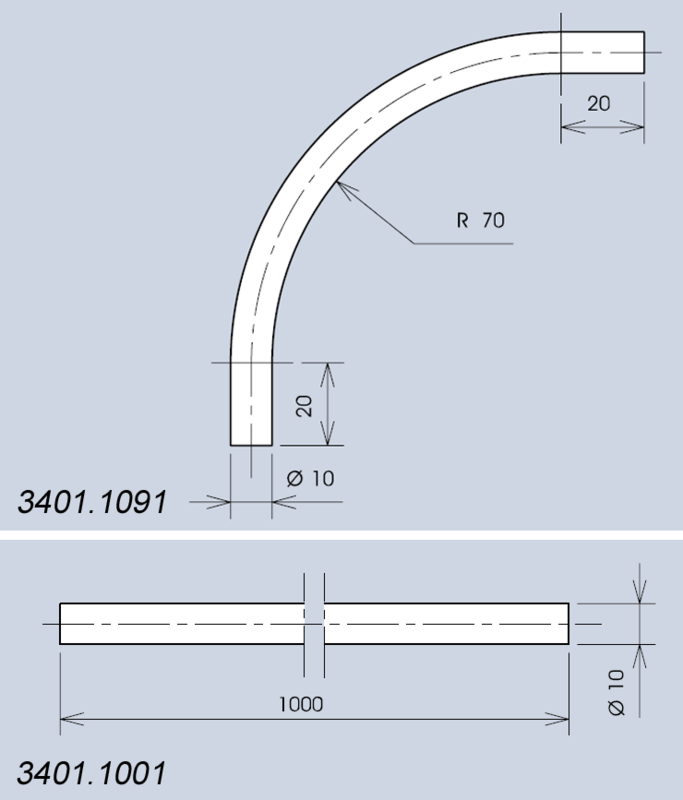 Many customised options are available such as different shapes, radii and dimensions. 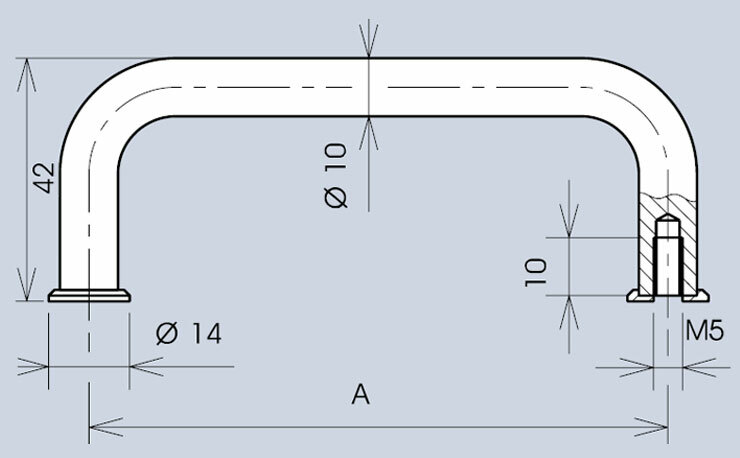 Scroll down this page for an overview of MENTOR’s Stainless Steel Handle ranges or use the links to jump to the product detail (3D CAD files are generally available upon request). 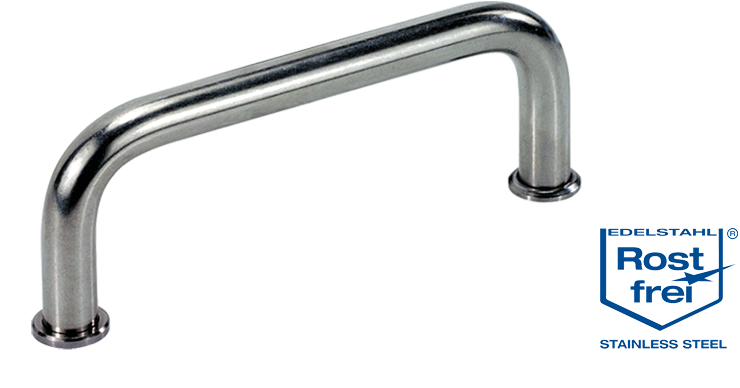 Stainless steel bow-type handles with large mounting washers, ensuring flush fitting even with large mounting holes. Suitable for pushing, pulling and lifting actions in industrial, medical, laboratory and machinery applications where heavy chemical exposure may be found. Supplied in polished stainless steel finish. 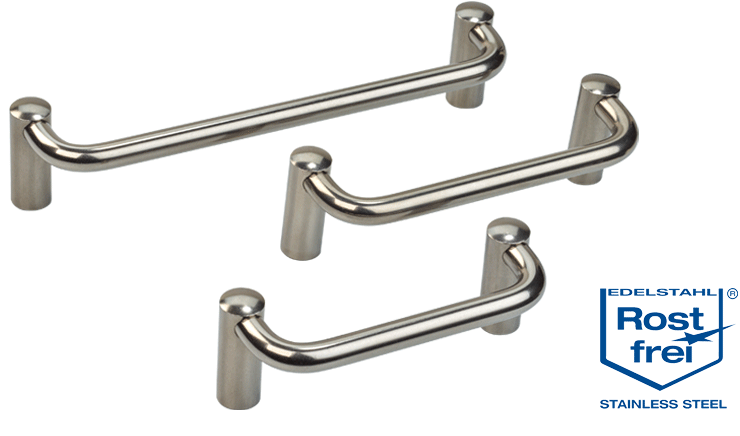 Similar chrome-plated steel handle styles are available. Stainless steel bow-type handles without mounting washers. For pushing, pulling and lifting actions in industrial, medical, laboratory and machinery applications where heavy chemical exposure may be found. Supplied with a polished finish. Stainless steel folding handles with a matt finish. 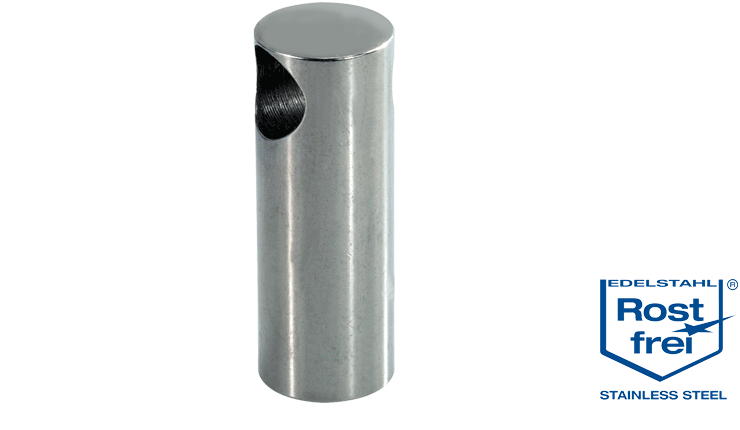 Suitable for mounting at each end of a case or an instrument, for carrying with two hands. Please also see the ranges of chrome-plated steel and folding / collapsible handle styles, with similar carrying capacity. Stainless steel fixed handles with a matt finish. 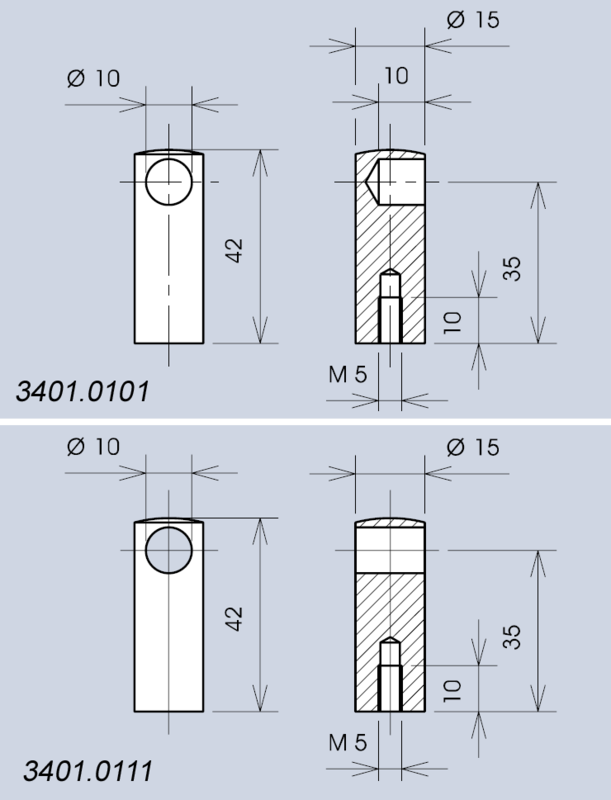 Suitable for mounting at each end of a case or an instrument, for carrying with two hands. 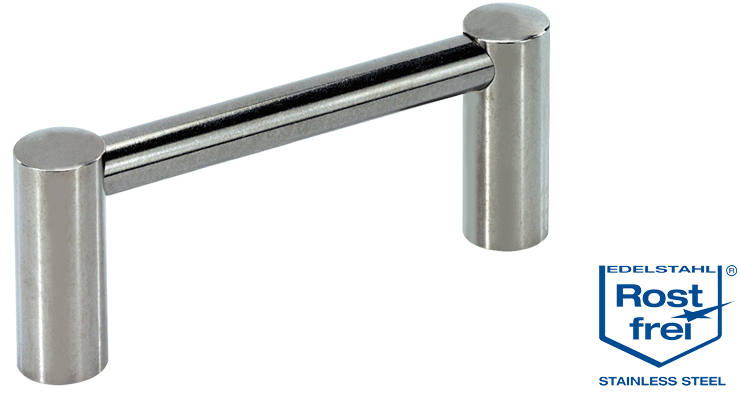 MENTOR's versatile stainless steel handle system in an uncoated, natural finish. 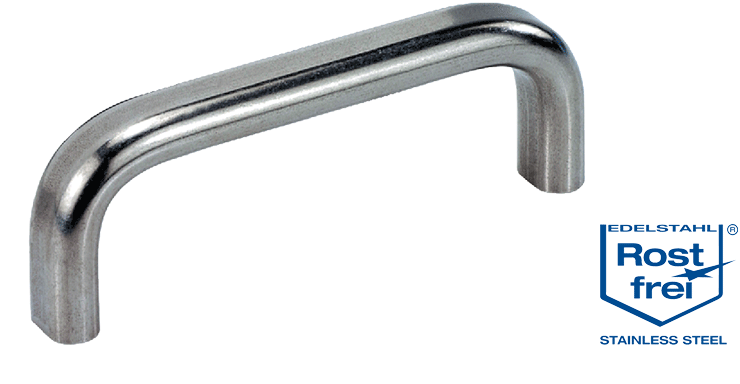 Suitable for instruments, machinery and industrial applications, the individual components of the handle are quick and easy to assemble. 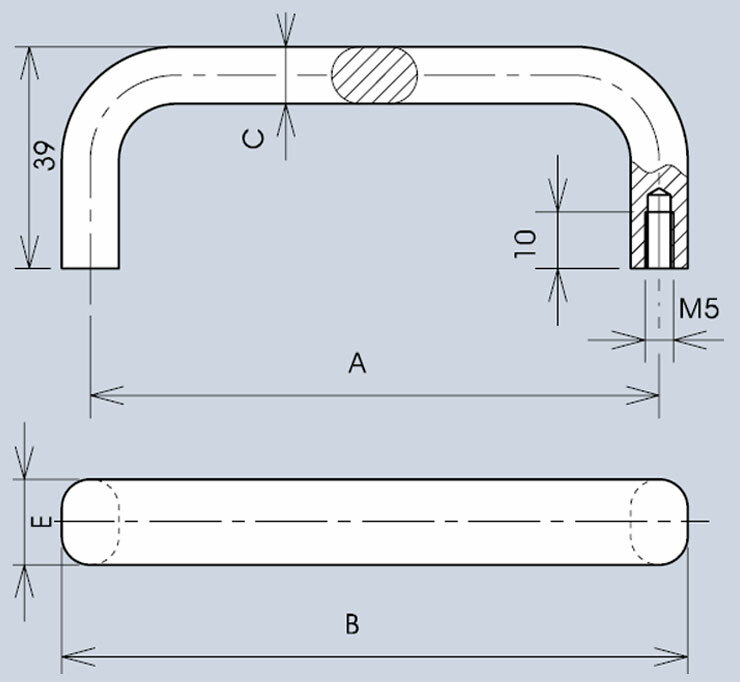 The supplied sealing rings ensure "torsion-safe" assembly. 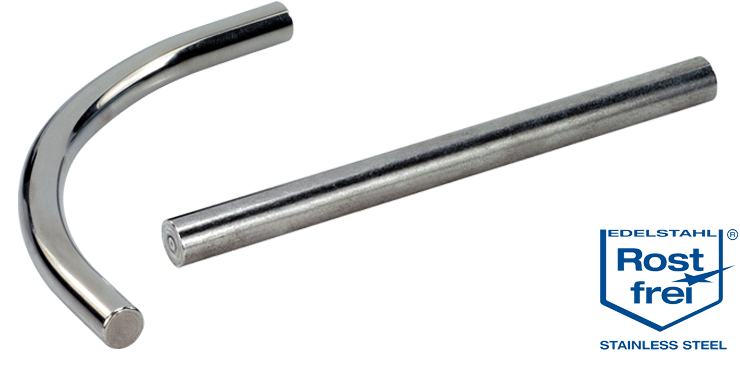 Versatile stainless steel handle system for instruments, machinery and industrial applications. 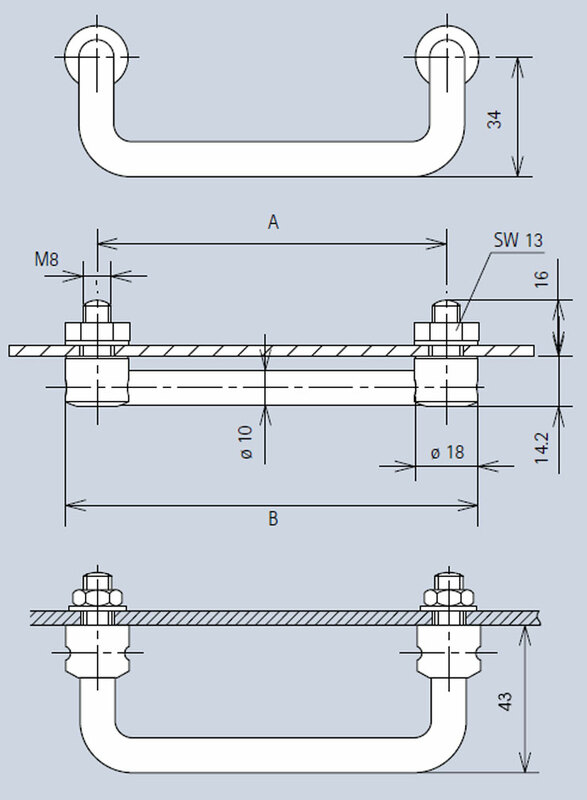 The individual components are quick and easy to assemble and the supplied sealing rings ensure "torsion-safe" assembly. The surface is an uncoated, natural finish. Another versatile stainless steel handle system for instruments, machinery and industrial applications, available with a curved profile. The individual components are quick and easy to assemble. 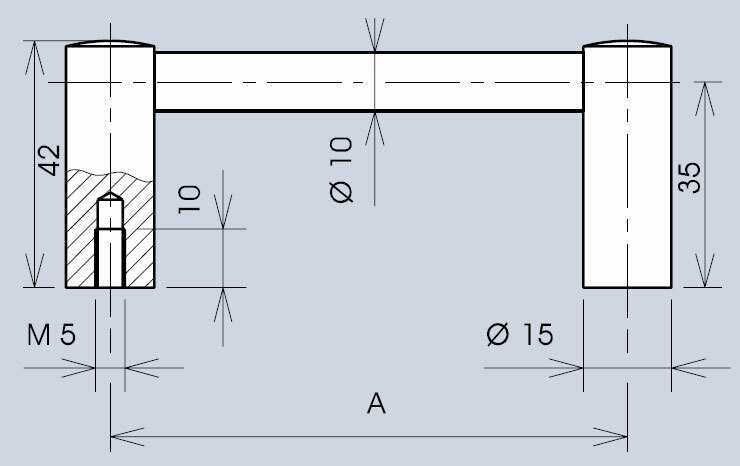 The supplied sealing rings ensure "torsion-safe" assembly. The surface finish is an uncoated, natural finish.